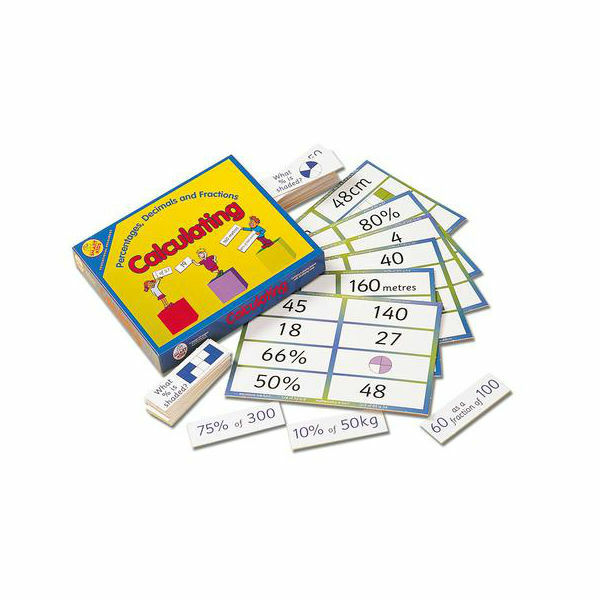 This challenging game is for practising and reinforcing problem-solving strategies using percentages, decimals and fractions. A game for up to 7 players, the caller reads each flash card aloud. A player must solve the problem on the card before claiming it to cover the answer on the playing board. Cards include word problems and visual problems. Contains 6 playing boards and 48 cards.